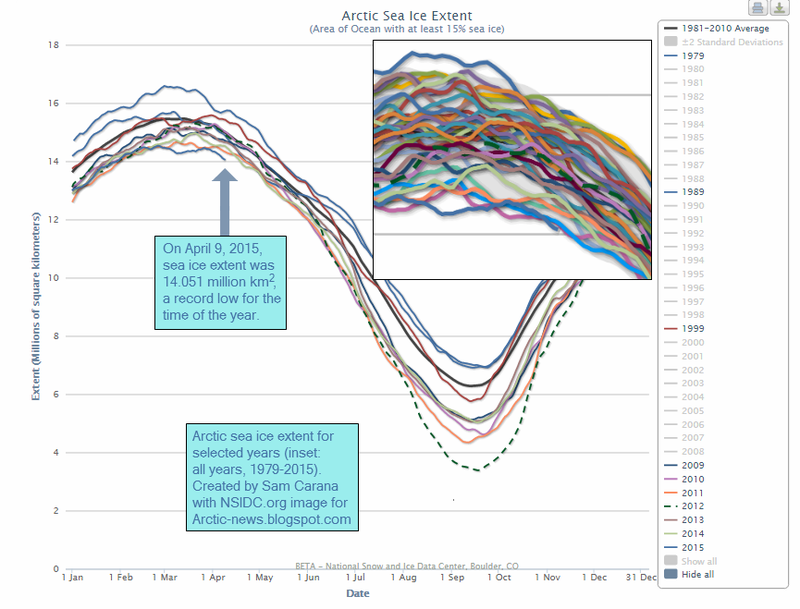 On April 9, 2015, Arctic sea ice extent was only 14.051 square km, a record low for the time of the year, as illustrated by the image below. 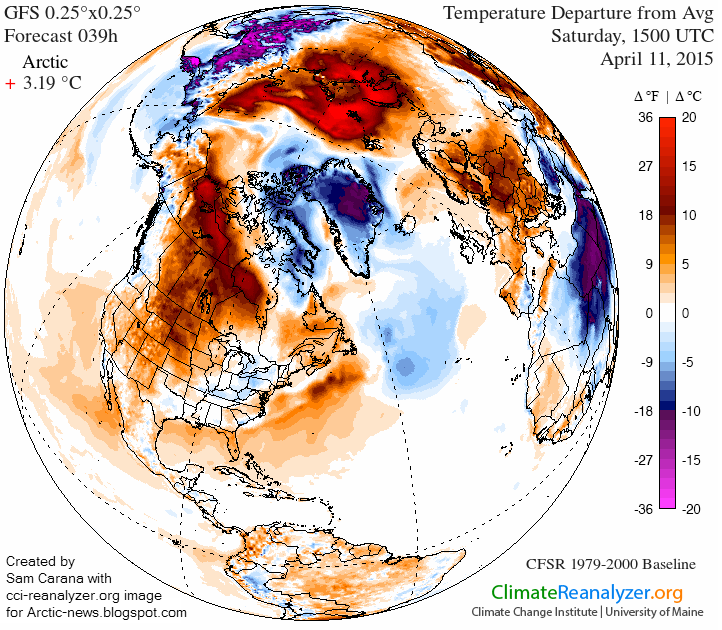 Temperature anomalies at the top end of the scale (20°C, or 36°F) are hitting the Arctic Ocean in many places, as illustrated by the forecast below, showing an overall anomaly of +3.19°C for the Arctic for April 11, 2015, despite low temperatures over Greenland. 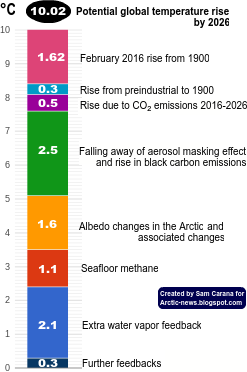 The situation is very worrying, the more so since a huge amount of ocean heat is lining up to be carried into the Arctic Ocean by the Gulf Stream. 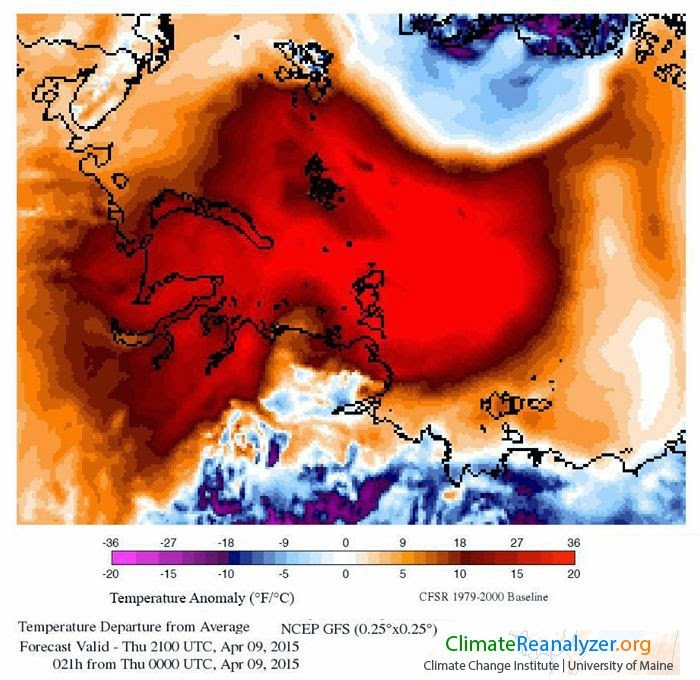 On April 10, 2015, sea surface temperatures of 24.1°C were recorded off the North American coast (green circle), a +12.5°C anomaly, as the image below shows. Malcolm Light comments: In this inverted blowup of the high temperature region you can see the expanded effect of methane hydrate detabilization along the Gakkel Ridge and the high temperatures caused by the onshore methane eruption vents (image below). Ice free by September 2015. This is moving quicker than the most pessimistic forecast. Which nation will be the first to sail a cargo ship over the north pole? You know, someone will just have to be first, it's in the nature of man. One of the 1st I came across when I landed here a year ago. It set my eyes on Climate Change ever since. On this special occasion. I want to thank you for your work and all I learned here. 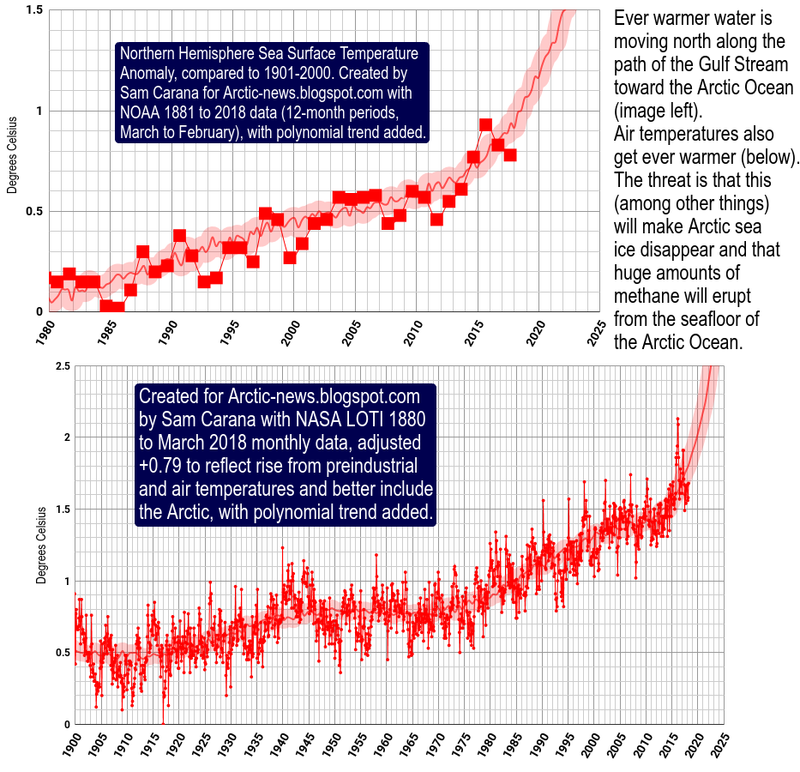 You're now an official Climate Guru. I don't and won't have a Facebook account as I got to keep my limitations in check, so, please feel free to share it up there. There's lots of appetite amongst the French, specially those in France for this kind of info.